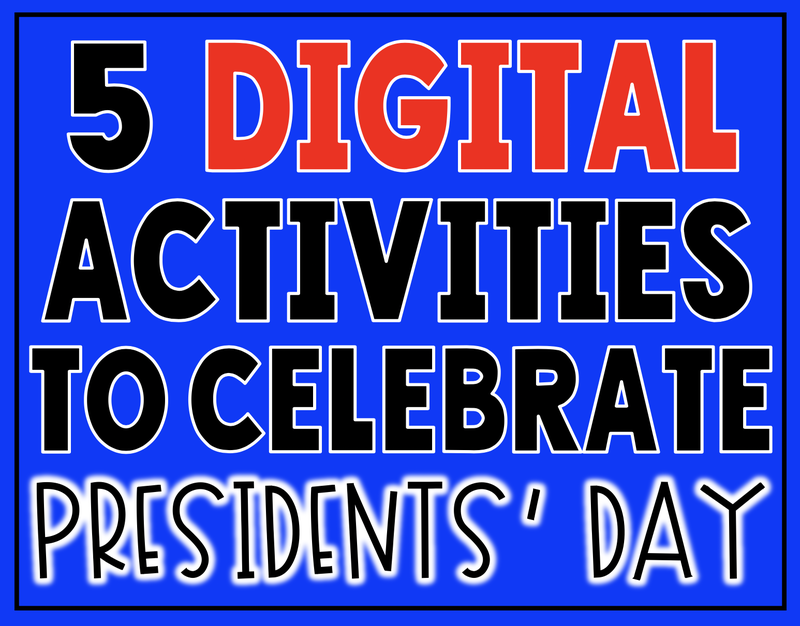 5 Digital Ideas to Celebrate Presidents' Day | The Techie Teacher® . The 1600 app will allow users to scan George Washington on ANY dollar bill and The White House will pop up. The developer's hope is that "whether it is experiences on a teacher's desk or dining room table, kids will walk away from "1600" with a better sense of the institution and its purpose." ☝TIP: Move your phone around to explore different angles, listen to the mini history lesson and touch the Oval Office to reveal a special surprise. Have students snap a screenshot to import into another program to reflect on what they learned! Here is a quick video of Brad Waid demonstrating 1600 to a group of 3rd graders. We all were ready to go home and show everyone the power of a $1 bill! Turn that same dollar bill over to the back and scan it with the HP Reveal app. What do you experience? 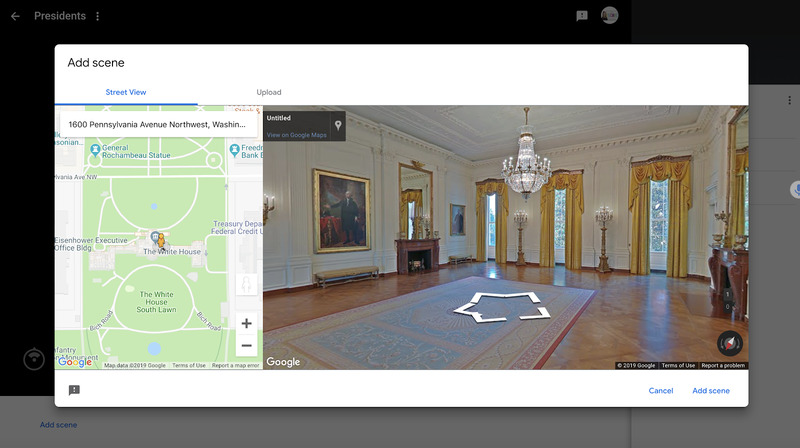 Using Google Tour Creator students and teachers can create their own VR tours of The White House. Users could create a digital story about what life be like to be President living in the White House. I simply typed in the address: 1600 Pennsylvania Avenue. Explore in and around The White House! To learn more about Google Tour Creator, click HERE. Also, Teaching in the Primary Years provides an excellent video tutorial on how to create a virtual tour that you can find HERE. Amanda Sandoval created a Guess Who? game in Google Slides that she shared on Twitter. 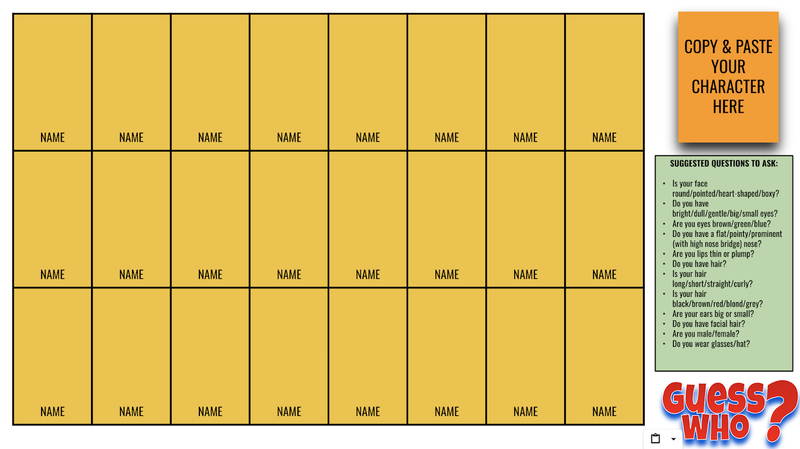 Click HERE to make a copy of the game board. 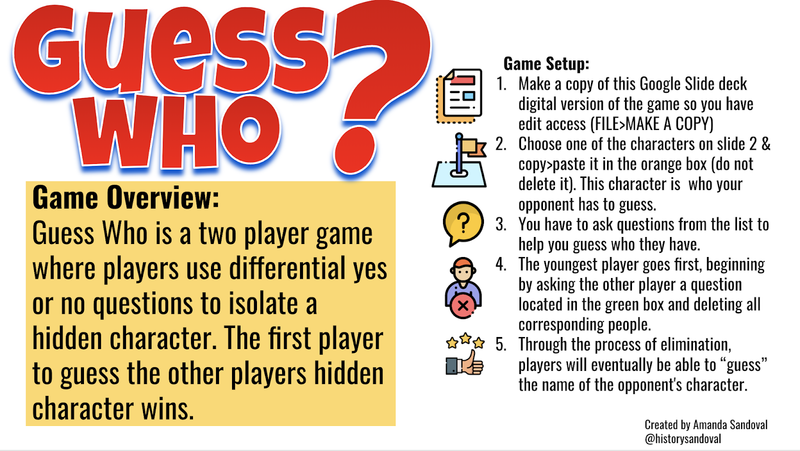 It would be fun to have students create Guess Who? game boards of different Presidents (there are 24 boxes for 24 Presidents) to play with a partner. 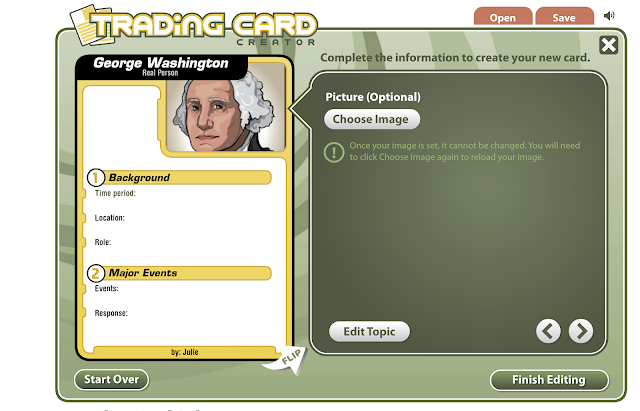 Students can research a President of their choice and then use Read Write Think's Trading Card Generator to design and print a trading card. 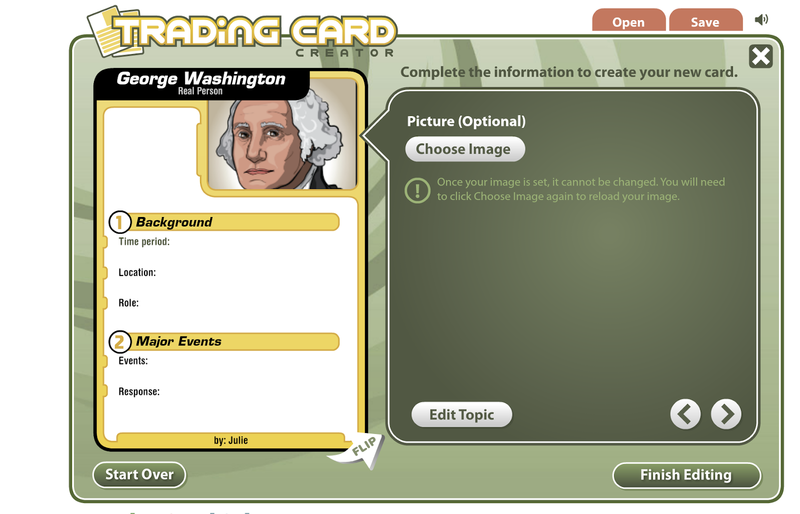 Using one of the timeline tools in my Tools for Creating Timelines in the Elementary Classroom blog post, have students research a President and create a timeline of his life. 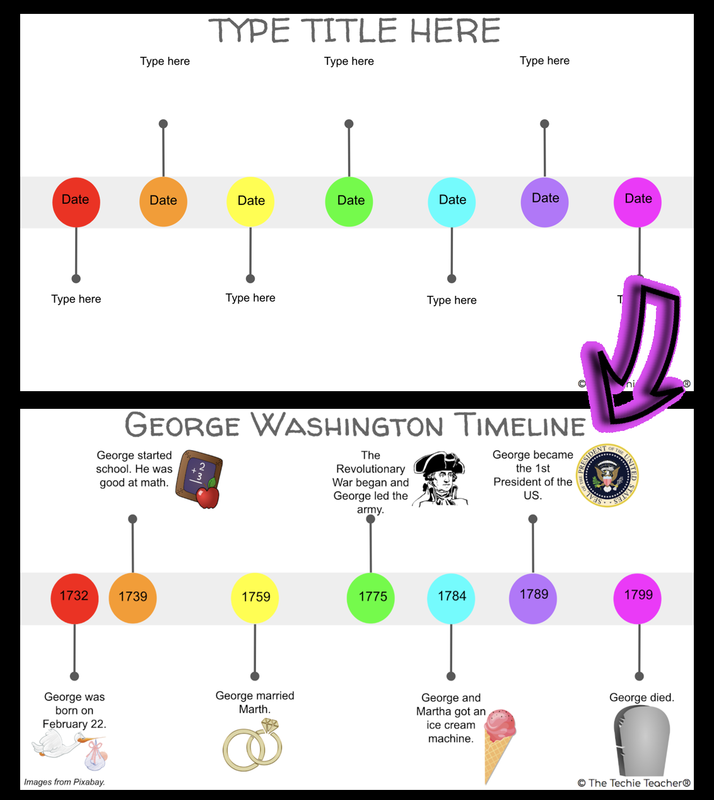 This timeline template for Google Slides™ is a free download in the blog post linked above. 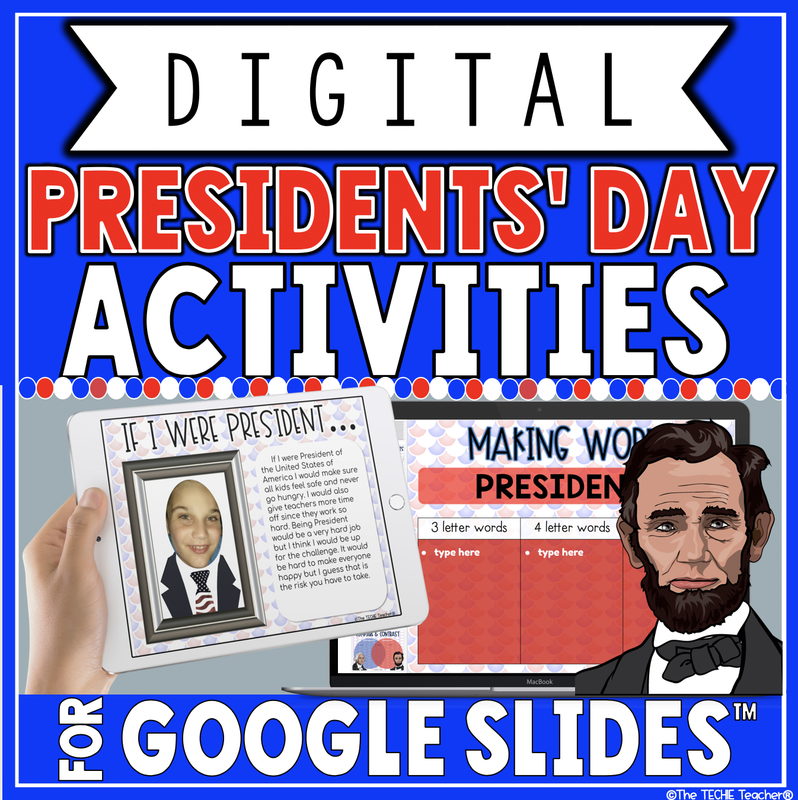 I recently created these Digital Presidents' Day Activities for Google Slides™ that is available in my TpT Store. There are 11 different activities students can work on during independent time and it can be used on Chromebooks, laptops/computers or iPads. I had way too much fun with the Make a Meme slide. These animated memes have George Washington rolling his eyes and Abraham Lincoln taking a selfie😂. If your students end up completing this and come up with some creative ideas I would LOVE for you to share their creations with me! Building Vocabulary Knowledge: Students can use a paper dictionary or the two online dictionaries that are linked into the speaker notes of this slide to define the words: citizen, campaign, political, constitution, democracy & federal. Paragraph about Presidents' Day: Students highlight the important information using the highlighter tool. Embedded YouTube video about Who Can Become President: After viewing the video, students type their answers in the right hand side of the table. After answers have been added the the table, students will use the magic reveal magnifying glass to uncover the correct answers that are hidden in the answer key that appears to the right of the slide. 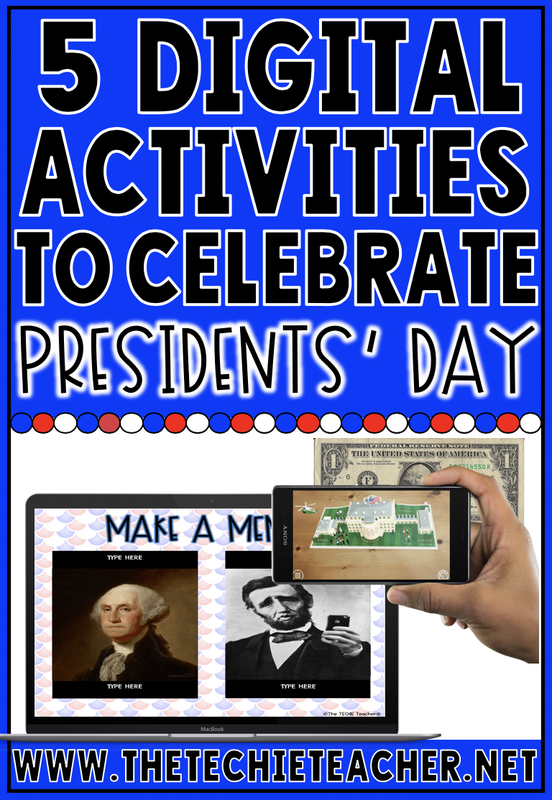 Fun Facts About Presidents: Students will visit the three different kid friendly websites that are hyperlinked in the speaker notes to research facts about Presidents. They will then type their 5 favorite facts using the text boxes provided inside the outline of the US maps. Summarize It! Students will summarize something they learned from Slides 3-6 (or you could choose to give them a passage/book to read and then summarize on this slide). If I Were President: Students will take a selfie and crop to shape (directions are linked into the speaker notes) to place as the head in the President portrait. They will then type a paragraph about what they would do if they were the President of the United States. Acrostic Poem: Students will type an acrostic poem using the word AMERICA. Compare & Contrast: Students will type facts in the Venn Diagram that compares/contrasts George Washington and Abraham Lincoln. Research links are provided in the speaker notes. Make a Meme: Students can add text to the animated memes of George Washington and Abraham Lincoln (George rolls his eyes while Abe takes a selfie). Making Words: Students will type 3 letter, 4 letter and 5+ letter words they can make from the letters in PRESIDENTS. Find It! Word Search: Students can use the fill tool or line tool to mark words they find. Draggable check marks are provided for students to mark off the words they have found. Click HERE to take you to this resource in my TpT Store.